Checkout the Champions League Draw Results. Juventus are the only Italian team through to the quarters after their stunning comeback win over Atletico Madrid, who won the Round of 16 first leg 2-0. But Cristiano Ronaldo's eighth career hat-trick in the Champions League helped the Old Lady to beat the Spanish team 3-0 in the return leg in Turin. Ajax and Porto are the other two sides who managed to book their places in the quarter-finals of Europe's most prestigious club competition. 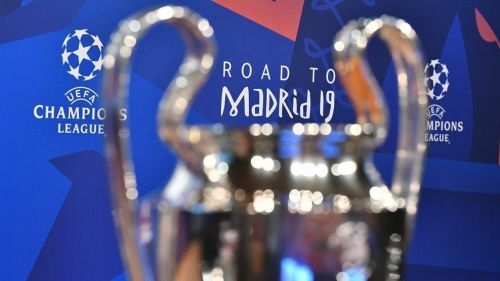 Teams will be keen to avoid facing Ajax after their recent display against Real Madrid, while Porto could also spring up a surprise or two, following their win over last season's semi-finalists - Roma. Manchester City and Tottenham are the only teams left in the Champions League who are yet to win the competition.